NEW YORK - The Rev. Kosuke Koyama, a theologian internationally known for using arresting metaphors drawn from his experience as a missionary to convey an influential vision of Christianity as compatible with Asian traditions, died March 25 in Springfield, Mass. He was 79. The cause was pneumonia though he had esophageal cancer, said his son Mark. Rev. Koyama, who taught at Union Theological Seminary in Manhattan, strove to make the teachings of Christ culturally meaningful to Asians without sacrificing the Gospel message. His 1974 book, "Water Buffalo Theology," was "one of the first books truly to do theology out of the setting of Asian villages," Donald Shriver, president emeritus of Union, said Tuesday. In an online review, Herb Swanson, historian for the Church of Christ in Thailand, called the book "one of the classic works of contemporary Asian theology." Directed at the concerns of peasants, the book points out that Christianity and Buddhism do not communicate; rather, Christians and Buddhists do. Rev. 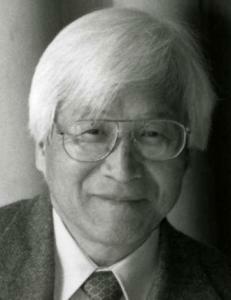 Koyama advocated seeing God "in the faces of people" to achieve neighborliness among religions. He spoke of trying to "season" the Aristotelian roots of Western theology with Buddhist "salt." The book favored communicating about Jesus in culturally comforting words but urged missionaries to criticize and reform a given culture if it was found to be against Christian values. Rev. Koyama made the book's case in poetic, not academic, language. As a missionary in northern Thailand, he said, he was inspired to write as he listened to the "fugue of the bullfrogs" while watching farmers working with buffaloes in the rice fields. "The water buffaloes tell me that I must preach to these farmers in the simplest sentence structure," he wrote. "They remind me to discard all the abstract ideas and to use exclusively objects that are immediately tangible. 'Sticky rice,' 'banana,' 'pepper,' 'dog,' 'cat,' 'bicycle,' 'rainy season,' 'leaking house,' 'fishing,' 'cockfighting,' 'lottery,' 'stomachache' - these are meaningful words for them." Rev. Koyama's 13 books also included "Mount Fuji and Mount Sinai: A Pilgrimage in Theology" (1984) and "Three Mile an Hour God" (1980), which reflects his belief that God moves at walking speed through the countryside. Rev. Koyama became an influential voice for ecumenism, speaking at conferences around the world and teaching classes on Buddhism, Confucianism, Hinduism, Islam, and Judaism at Union. "I feel a mission to teach about different religious traditions," he said in an interview with the Religion News Service in 1995. "I think it's the Christian thing to do." Rev. Koyama was born in Tokyo. In 1945, as bombs rained down on Tokyo, he was baptized as a Christian at the age of 15. He was struck by the courageous words of the presiding pastor, who told him that God called on him to love everybody, "even the Americans." Rev. Koyama graduated from Tokyo Union Theological Seminary in 1952 and earned a bachelor's degree from Drew University in 1954 and a doctorate from Princeton Theological Seminary in 1959. From 1974 to 1978, he lectured at the University of Otago in New Zealand. In 1980, he joined Union. Before he arrived, someone noticed that his "Water Buffalo" book had landed on the discard pile outside the library, Shriver said. Apparently a librarian had concluded that the prestigious school had no program for teaching theology to water buffaloes. The book was quickly and quietly returned to the shelves.